This is a Spanish edition of Don Quijote designed for English-speaking students. Both parts, Parts 1 and 2, of Don Quijote are included in this single volume. This Legacy edition is edited by Tom Lathrop. Until now, our students have had to use editions published in Spain for Spaniards. Vocabulary and syntactic structures that are difficult (or impossible) for our students are usually not annotated in those editions. Cultural information which educated Spanish speakers already know, but our students simply do not, is equally not annotated. Our students have thus been deprived of much of what they need to know in order to understand the text. To help solve the vocabulary problem, Lathrop has included 10,459 vocabulary glosses in the margin opposite the line where the Spanish word to be defined appears. If too many words need to be put in the margin, phrases are translated in footnotes. In all, there are 3,742 footnotes. These also deal with cultural items, historical, geographical, biblical, mythological, textual references, and all kinds of other information. Footnotes will not offer interpretations: that is for instructors and their students to figure out. This edition features 55 full page illustrations by Jack Davis and a revised index. Edith Grossman's definitive English translation of the Spanish masterpiece. Widely regarded as one of the funniest and most tragic books ever written, Don Quixote chronicles the adventures of the self-created knight-errant Don Quixote of La Mancha and his faithful squire, Sancho Panza, as they travel through sixteenth-century Spain. You haven't experienced Don Quixote in English until you've read this masterful translation. 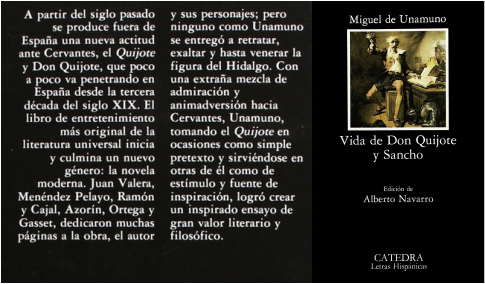 Don Quixote Miguel de Cervantes RAE Edition / Adapted by Arturo Pérez-Reverte. This first school-oriented edition of Don Quixote ever published by the Real Academia Española (RAE) offers Cervantes s original text brilliantly abridged by renowned author, journalist, and scholar Arturo Pérez-Reverte. This new edition gives readers of all ages and reading proficiency levels easy access to the greatest classic in Spanish literature. Enjoy the essence of Don Quixote thanks to the rigorous and compelling adaptation by the Real Academia Española and Arturo Pérez-Reverte. Eliminates parallel stories, and combines and renumbers various chapters to facilitate uninterrupted reading. Maintains Cervantes s original text. Arrested and thrown into a dungeon for having offended the Spanish Inquisition with his supposedly heretical writings, Miguel de Cervantes busies himself by writing the outlandish, delightful tale of knight Don Quixote. Based on the popular Broadway musical. Starring:Peter O'Toole, Sophia Loren Runtime:2 hours, 9 minutesAvailable to watch on supported devices. Revisión del vocabulario con significados y comentarios Esta es una obra de interés par ávidos lectores del Quijote, que no queriendo perder el sentido de sus palabras, tienen una explicación fácil y didáctica de los vocablos más antiguos o cultismos de la época. De interés para amantes del Quijote. En el ámbito del pensamiento, la preocupación por España estuvo representada en el proyecto novecentista por Ortega y Gasset. Las" Meditaciones del Quijote" fue el primer libro publicado por Ortega, en 1914. Es el punto de partida de toda su obra posterior. Sobre la convicción íntima del carácter fundamental del" Quijote" , su profundidad y su plenitud española, el autor hila estas" Meditaciones" concentrando en el libro de Cervantes sus preocupaciones en relación con el tema de España. Hermosa prosa e impresionante investigación del campo. M. VAZQUEZ MONTALVÁN. El País. La obra sobresale por sus constantes referencias literarias y las documentadas preparaciones de cada uno de los platos. R. ANSÓN. ABC. Precisión, amenidad y buen hacer de siempre. Marie-Claire. Cuando un libro es una obra de arte, merece estar en esta página y en la biblioteca de nuestros lectores. Paisajes desde el tren. Buena literatura, además de un buen inventario de patéticas hambrunas y desbordantes festines. Guía Madrid de El País.